The Sheryl is a closed toe open back stylish sandal / clog with back strap and velcro strap across the vamp for an adjustable fit. Featured in premium soft crinkled leather. 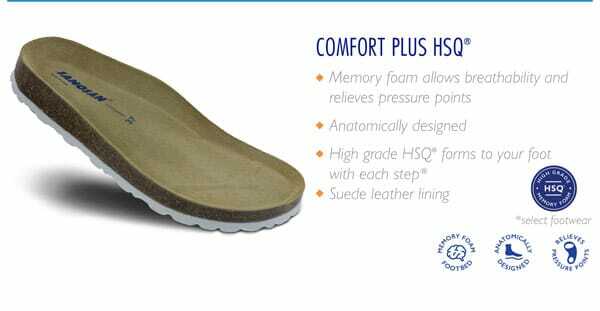 Comfort Plus HSQ memory foam insole.